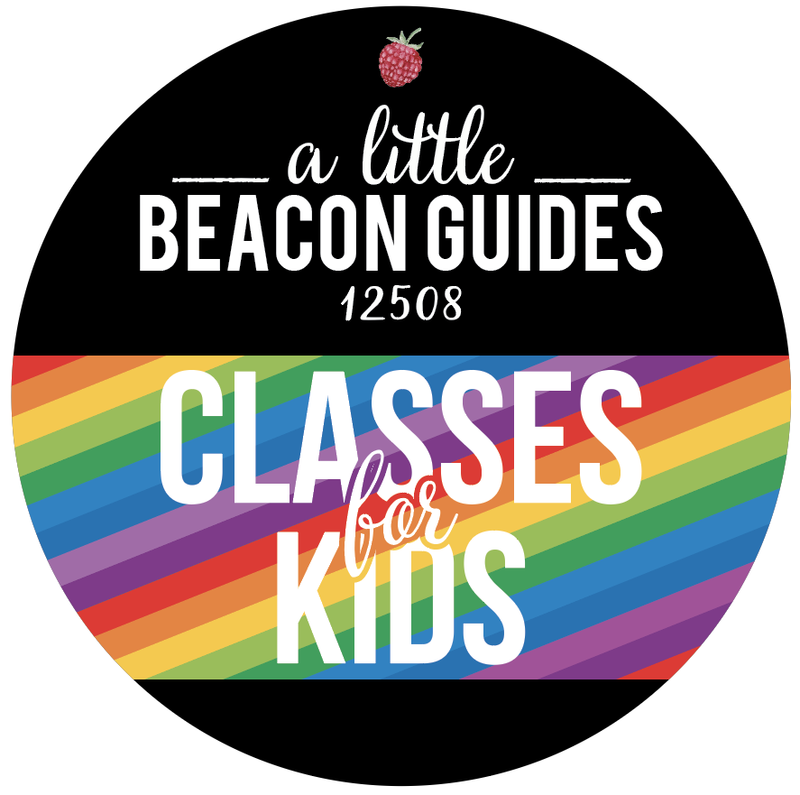 Beacon is filled with opportunities for kids and families to attend a variety of classes, from Mommy and Me, to drop-off art classes, to various Vacation Camps. 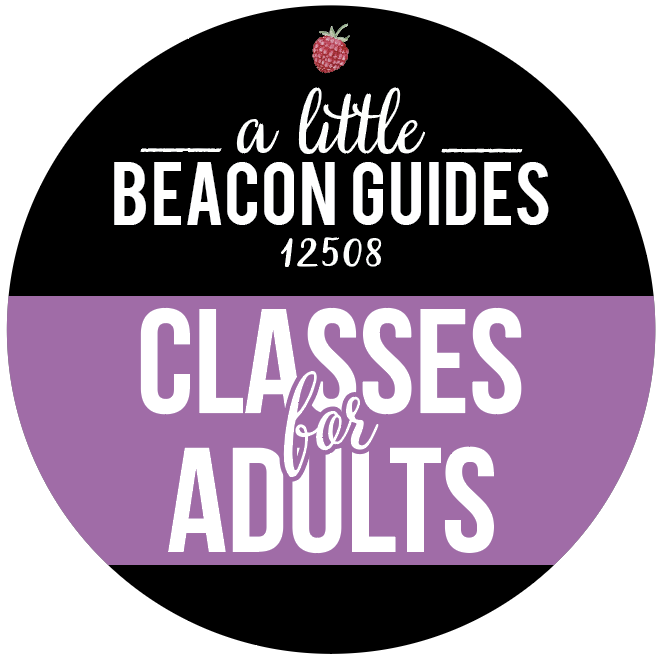 This Kids Classes Guide has been developed with Beacon families in mind; it's for people who attend classes in town as well as anyone who drives to neighboring areas for popular programs. We highlight Guide Updates on the blog in different articles and keep this list updated throughout the year. 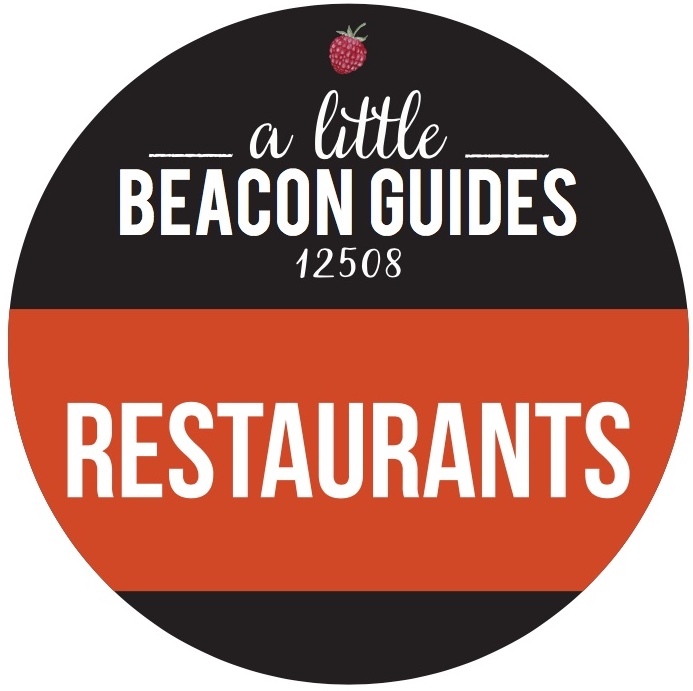 To be connected with A Little Beacon Blog on all updates, be sure you are subscribed to our free newsletter! Is your amazing class or business not on this list? 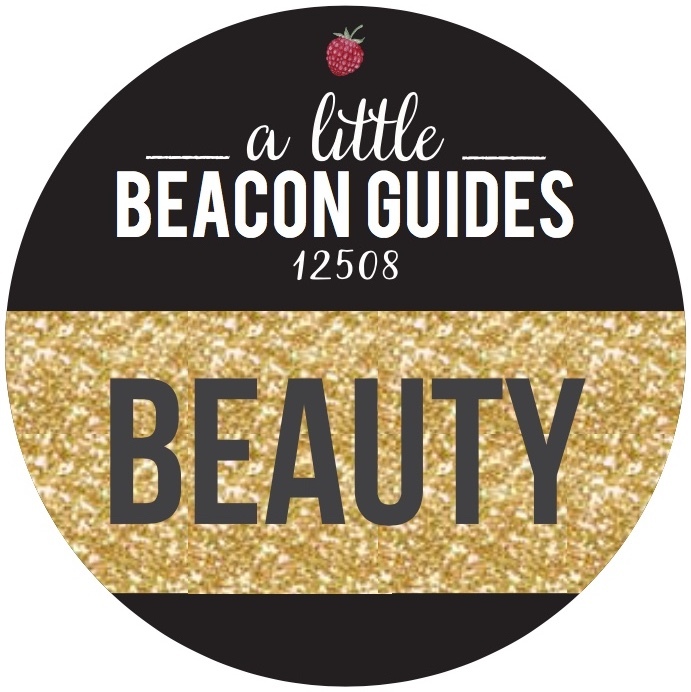 If you have a class or workshop you'd like to submit for consideration, please submit it to editorial@alittlebeaconblog.com. To enhance your listing with pictures and to get it featured in our weekend newsletter, click here for details. This at-a-glance section highlights events from the listings below that happen on the same day each week. Keep reading for more details about these classes, provided in their official listing below in the appropriate category. Kids Yoga at BeBhakti from 4-5pm for ages 4-9yo. Held inside the Elementary Schools for South Ave, J.V. Forrestal, and Sargent. This program offers more than just child care; the program offers exposure to many different activities. Some activities may be familiar, while some might be new to you and your child. It is our goal to provide a safe and fun recreational experience to all participating children while providing opportunity for enrichment. Each day, the children are dismissed from their classroom to the gymnasium, where they have about 30 minutes of free play followed by a snack. Children select their activities each day. From 4 to 4:50 is the first activity period, followed by a second 50-minute activity period. Scheduled activities are complete by 5:45. Parents are welcome to pick their child up any time prior to 6 pm. Drop-ins are welcome even after a class has already begun! Art & Zine Club is a place to collaborate with other Beacon area teens making art and creating zines. What's a zine? Zines are self-published DIY magazines. Students can contribute art, photography, poetry, short stories, comics, fan fiction, and any anything else you can think of. Zines can be about whatever you are interested in. The Art & Zine Club will meet monthly to work on individual and collaborative zines. 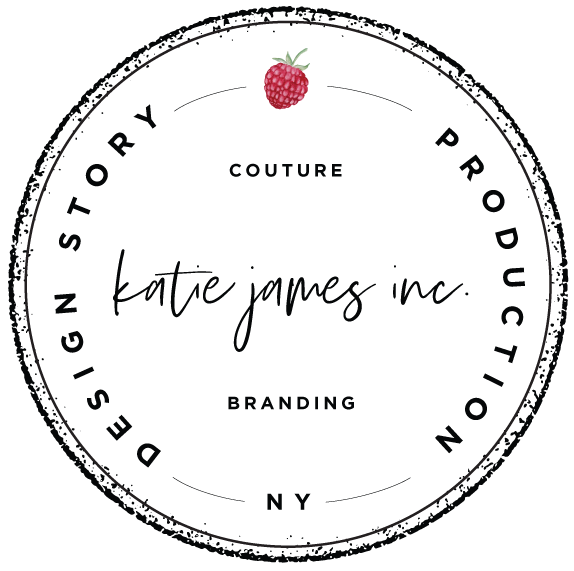 Members participate in every step of the process from creation and editing to printing and distribution. 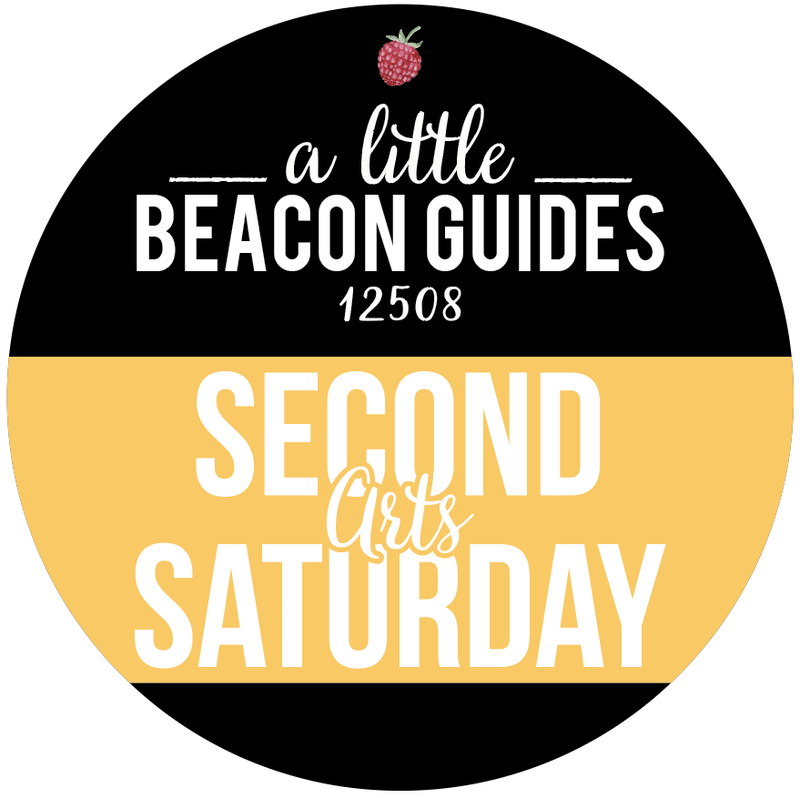 Workshop topics will include new art and book making techniques as well as the occasional guest artist. The zines created by the group will be shared with the community and become part of the collection of the library. There will also be opportunities to trade zines with other library zine clubs in the area and across the country as well as a field trip to the zine library at SUNY New Paltz. All supplies are provided; no experience necessary. Students can join at any time. 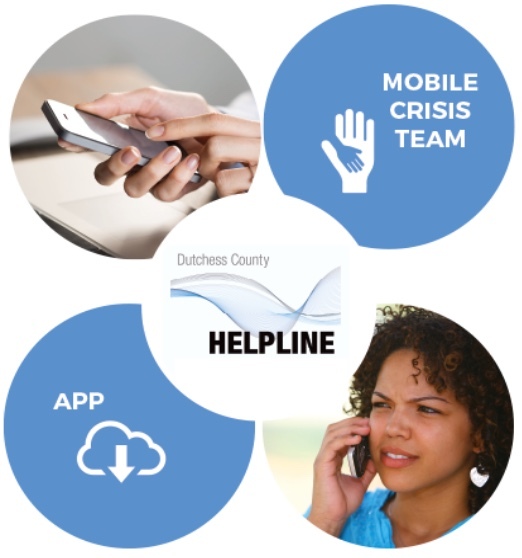 To register or for more information, contact Michelle at community@beaconlibrary.org or 845-831-1134, x101. The Howland Public Library is located at 313 Main Street, Beacon, NY. To find out more about programs for teens at the library go to www.beaconlibrary.org. Sketchbook Studio is an open space for middle school and high school students to work on sketchbooks, art journals and other drawing projects. All kinds of art materials will be available to use during studio time. Bring your own sketchbook. All skill levels welcome. Sketchbook Studio meets the last Wednesday of every month. No registration required but RSVP is appreciated. Contact Michelle at community@beaconlibrary.org for more information. The season starts in late April and goes through June. Registration and team communication is done through the Sports Illustrated app, so managing the schedule is easy! Need help with college essays or other writing assignments? High School students can stop by the Writing Lab after school on Thursdays starting on January 8th. Facilitator, Jess Conway, an instructor at Teacher's College, will be available to provide support, assistance, and encouragement for students in grades 9-12 at work on school or personal writing projects and college essays. Writing Lab help is available on a drop-in basis, no registration needed. Read more about it here. View our Repeating Events Guide for regular monthly classes offered at Howland Public Library. The Howland Public Library is currently recruiting students to participate in the 14th annual Middle School Battle of the Books, and students to participate in the 3rd annual High School Battle of the Books. Battle of the Books is a nationally recognized literature contest in which young people answer trivia questions based on specific books that they have read during the summer. It is designed to expose young people to good literature, new friendships, and build teamwork and good sportsmanship skills while enjoying friendly competition. Students will participate in meetings, coaching activities, and practice Battles each week between the end of June and August. Middle School students will meet every Thursday from 5-7pm between June 28th and Aug. 30th. High School students will meet every Tuesday from 5-7pm between June 19th and Aug. 14th. The library will supply the books, team t-shirts, and pizza! After practice battles with other libraries, each team will compete in the Regional Battle of the Books competition at Ulster Community College. The Beacon Bees were the Middle School champions in 2010, 2013, and 2015, and the Beacon Buzzers were High School champions in 2017! This fun program is free for participants. The Beacon team is generously funded by Howland Public Library's Friends Group. To register for the Middle School BOB, contact Ginny Figlia, Head of Youth Services, at youth@beaconlibrary.org or 845-831-1134, x.103. To register for the High School BOB, contact Michelle Rivas at community@beaconlibrary.org or 845-831-1134, x.101. Students in grades 6 and up are invited to sign up for our Magic the Gathering Club. Bring your own cards. We'll supply the tables and snacks. The club will meet the first Wednesday of each month. No registration required but RSVP appreciated. Contact Michelle at community@beaconlibrary.org for more information. Middle and High School students can get together with others who love to play D & D the 1st Friday of the month. This year we are running multiple campaigns of with one DM and 4-5 players. Space is limited so registration is required. Interested teens must sign up to attend a creating a character session in September before registering. Open playtime. An opportunity for you and your toddler to enjoy some playtime together. Play with balls, tunnels, mats, hoops, scooters and more. RHH: Spring Session Open House! Days 2019: Check back soon! Anthony Quatrochi's Martial Arts Institute comes to All Sport, with the best training and techniques. Musical Chefs for 6 mos-3 year olds - not just music! Open to the public seven days a week. Enjoy a walk around! Sometimes the cows and sheep are grazing in the fields, and you can look at them from the driveway. This free week long program for students in the Beacon Community entering grade 9-12 will provide an introduction to law enforcement, interactions with officers and field trips. 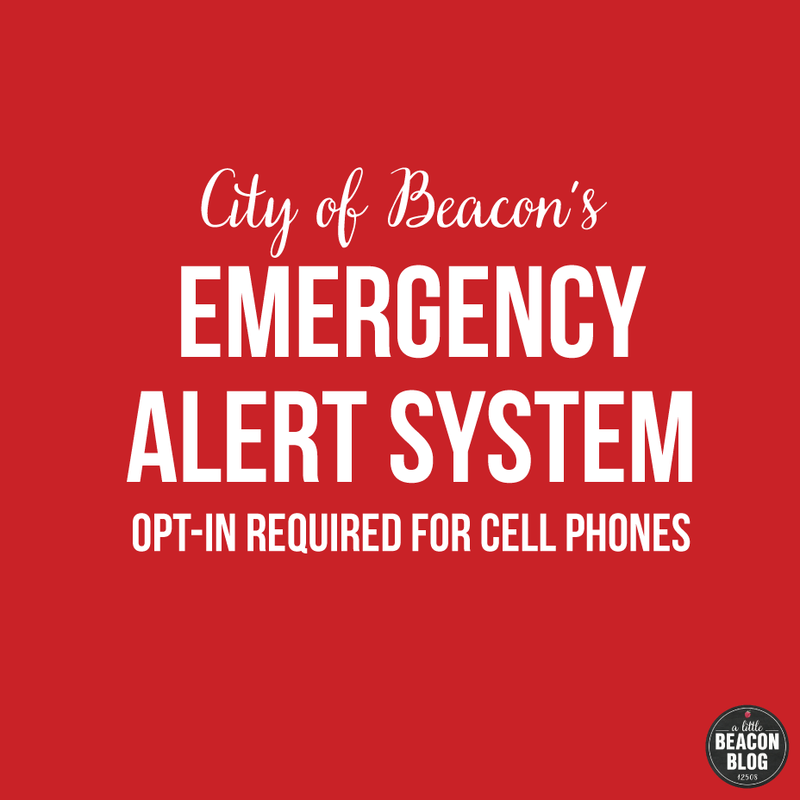 A variety of locations will be used to hot the program, including Beacon High School. Trips will include visits to local training centers, police academy, court and correctional facility. The goal of the academy is to help participating youth understand the role police officers play in the community, job duties performed and the requirements of becoming a police officer. A place for elementary school-age children to work collaboratively or independently to build fantastic Lego creations and tinker with our STEM materials (littleBits, robots, etc.). You can even combine them. No registration necessary; just drop by! Geared towards children with special needs: intellectual, cognitive, and/or developmental challenges. This program will feature simple stories, flannel boards, songs, and appropriate movement activities that gently appeal to the senses, with reduced outside stimuli. A social time will follow with special sensory toys that encourage small and large motor skills. This is a one-on-one time for parent/caregiver and child. An adult must register as space is limited. Please contact Ginny at youth@beaconlibrary.orgor 845-831-1134, x103. Caregivers are welcome to contact Miss Ginny in advance with any questions or to speak about the child's special needs.